A lifelong Nevadan, Ms. O'Neill was admitted to the Nevada bar in 1979. She graduated from Northern Arizona State University with a B.A. in political science. 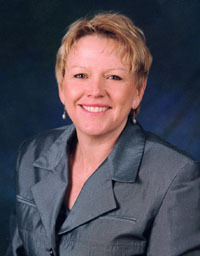 She received her Juris Doctor degree at California Western School of Law in 1977. While attending law school, Ms. O'Neill was the American Bar Association's National Champion in its Client Counseling Competition. Before establishing the firm, Ms. O'Neill was a chief public defender. She has litigated nearly seventy jury trials and hundreds of bench trials in various jurisdictions, in both the criminal and civil arenas. As a deputy attorney general, she assisted in negotiating one of the largest multi-state antitrust settlements in history. As general counsel to the Nevada Public Utilities Commission, Ms. O'Neill litigated in state and federal regulatory and appellate proceedings. As general counsel, she advised the Commissioners on legal, administrative, legislative and policy-related issues. Ms. O'Neill interned with the Nevada Supreme Court and served as a law clerk to the Honorable Peter I. Breen of Nevada's Second Judicial District Court. She is licensed to practice in both the state and federal courts. She is a former Barrister of the American Inns of Court and a founding member of Northern Nevada Women Lawyers. She was recognized in 1981 as one of the Outstanding Young Women of America and is among the first 100 women admitted to practice law in Nevada. She is a former member of the National Association of Criminal Defense Lawyers and is currently a member of the State Bar of Nevada, the Federal District Court of Nevada and the Northern Nevada Bankruptcy, Washoe County Bar Associations and the American Bankruptcy Institute.